A cute and cozy cottage separate from the main house invites you to come and get away. The cottage and the main house are on 2 acres of well maintained land. We have over 60 fruit trees, chickens and a couple of old dogs. Fenced in property with a gate and gate code keeps the place nice and private. Lots of room for parking. The cottage is down a short path from the parking area. 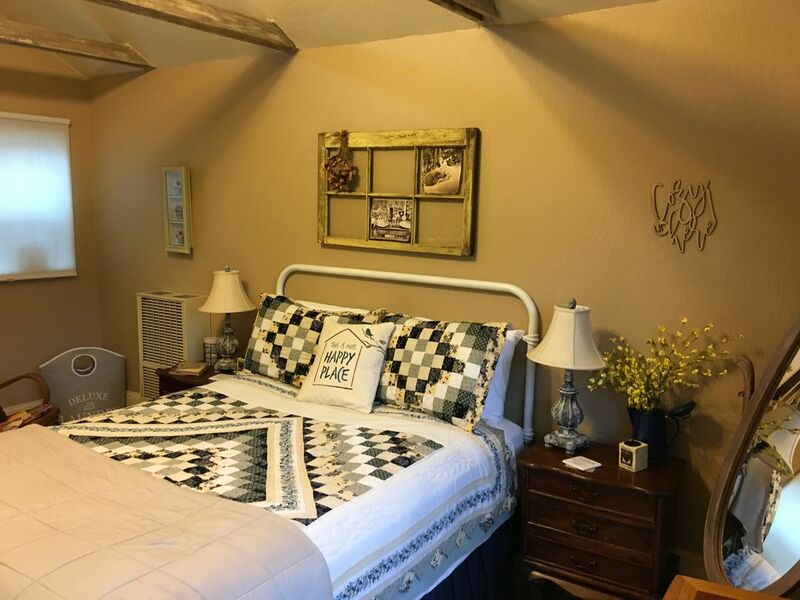 We are in a central location, close to shopping, wineries, Apple Hill, and Skiing. Lots of things to do in downtown Placerville, great places to eat and be entertained. We love this property and love sharing it with others. Chuck is a heavy equipment operator and I am a medical assistant/receptionist at a local doctors office. We love our little town of Placerville and all the history it holds. Come relax! This property is host to over 60 fruit trees. The main crop is Fuyu Persimmons, but also: Asian and Bartlett pears, apple, fig, peach,plum, pomegranate, grapes, walnut, apricot, and lime. We have a small garden in the summer time and in the winter, we take a break and let the ground rest! propane heater and electric fire place heater in cottage. Feel free to walk around the property and see the chickens.